Thrice Cooked Lamb - Headbanger's Kitchen - Keto All The Way! Discovered this recipe by accident really. Cooked up some mutton in a hurry and pressure cooked it and then fried it on a whim and came up with this recipe. Very subtle flavours, allowing the meat to shine through. Now if you don’t get mutton where you live this works with lamb as well as any tougher cut of beef. This is delicious as a keto snack or pair it with some veggies as a meal for one. I particularly love how the meat is tender and juice but crispy on the outside. You want to slow cook it to break down the fibers and make the meat tender and then just crisp up the outside with heat. You could say I was kind of inspired by pork carnitas. 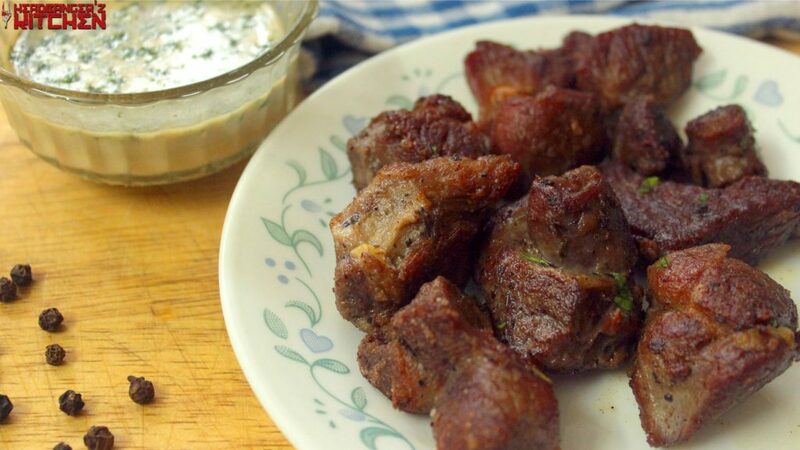 I live in India (as many of you know) and when I say mutton I am referring to goat meat. I do know in the UK and some parts of the USA, mutton refers to an old sheep. It’s always been a confusion because of it, I can’t understand why they were named this way. Either way mutton is delicious but it’s a tough meat because the goats are quite active. So you always want to slow cook mutton no matter what cut of the animal it is. I think with lamb there are still some cuts which can be pan fried or don’t need to be cooked low and slow. If that is the case (maybe some of you can educate me) then you want to stick to parts that require slow cooking, I do believe lamb shoulder and leg take a bit of time to cook and are more often than not cooked low and slow. 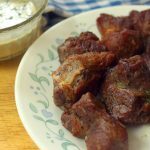 If you do enjoy lamb/mutton I have a few other recipes I think you will like. My Keto Kerala style mutton stew and my elachi mutton as well, both are deelicious! Season the mutton with salt and pepper and pan fry till caramelized. Boil water in a pressure cooked with 4 cloves of garlic and fresh thyme. Pressure cook for 25 minutes or till tender. Remove the mutton and strain the liquid from the pressure cooker, make sure to crush those cloves of garlic and get all the flavour out.